For years, veterans have reported serious, sometimes permanent, adverse reactions to the anti-malaria drug mefloquine. But a recently released report from the Australian Senate finds no link between their symptoms and the drug. WASHINGTON -- A long-awaited report by Australian authorities into the effects of the anti-malaria drugs mefloquine and tafenoquine failed to draw the link many veterans around the world had hoped for between use of the drugs and serious psychiatric symptoms. An inquiry was launched by an Australian Senate committee into use of mefloquine (brand name Lariam) and tafenoquine in the Australian Defence Force in part due to outcry by groups like the Australian Quinoline Veterans and Families Association (QVFA), which represents veterans who believe they have suffered permanent and irreversible neurological damage due to taking the drugs. Many of the veterans were participants – under coercion, some claim – of military trials of the drugs in the late 1990s and early 2000s. American veterans have reported similarly devastating psychiatric effects from the drug, which is currently listed as a potential health exposure risk by the U.S. Department of Veterans Affairs for veterans of Operation Enduring Freedom, Operation Iraqi Freedom and Operation New Dawn. Mefloquine was for years a widely prescribed medication for soldiers and travelers in areas of the world at high risk for malaria. In particular, it was the go-to anti-malaria medication for the U.S. military in malaria-prone regions like Afghanistan. A WUSA9 investigation also found dozens of Peace Corps volunteers deployed around the world who said they’ve suffered devastating side effects from mefloquine that they were told to take or be sent home. Last week, the Australian Senate released its report, which found that, while its veterans’ symptoms were real, it could not draw a link between them and their exposure to mefloquine. Dr. Remington Nevin, who testified before the inquiry, said he was disappointed in the result. Nevin, a former Army epidemiologist and physician and the executive director of the Quinism Foundation, says he was first exposed to the dangers of mefloquine during his own deployment in Afghanistan. He has dedicated his professional career since to promoting a better understanding of the drug and its effects. In an email to WUSA9, Stuart McCarthy, president of the QVFA, agreed with Nevin's assessment. "Many of those who courageously testified to the inquiry through written submissions or personal testimony now feel a sense of betrayal in that their evidence was disregarded in favour of conflicted testimony from the departments of Defence, Veterans Affairs and the pharmaceutical industry," McCarthy said. Nevin said he believes the report will be used as part of a “rearguard defense” to slow acknowledgement of the drug’s dangers – but said actions should speak louder than words. In May, lawyers for Army Staff Sergeant Robert Bales – who wandered off his base in March 2012 and confessed to shooting 22 villagers in the middle of the night – argued that “involuntary mefloquine toxicity” was a significant factor in his case. At the time of the attack, Sgt. Bales was on his fourth combat tour, with a total of 42 months in a combat zone. The legal brief reveals that after his first deployment to Iraq in 2004, he complained about memory loss and depression. After subsequent deployments, according to the brief, he suffered from insomnia, irritability, anger, and memory impairment. Other soldiers have shared similar stories with WUSA9. Sgt. Brown recalled he was ordered to take the weekly drug on a daily basis, which he did for about a month. He insisted he was never told of potential side effects, and his daily dosage was never logged in his medical records. Commander Bill Manofsky, a Navy veteran who deployed to Iraq and Kuwait, says he took mefloquine every week for five months. "For about a year, I looked like I had Parkinson's,” Manofsky said. “I had rotational tremors in my arms, I couldn't talk without stuttering. I had trouble putting one foot in front of the other. I had to walk with a cane. It took a year for me to teach myself how to talk again." For Nevin, who is joining a call for an enhanced royal inquiry into the side-effects of mefloquine in Australia, the results of the report are akin to what happened in decades past when concerns were raised about asbestos, lead paint and cigarettes. Ultimately, he believes troops who suffered permanent adverse effects from mefloquine will receive the recognition they deserve. 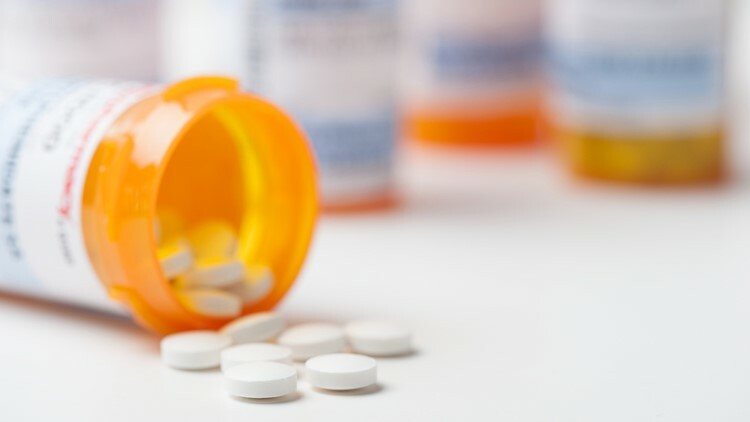 He points to the fact that the U.S. Department of Veterans Affairs continues to award disability compensation for veterans who claim to have been adversely affected by the drug. If you've taken mefloquine and believe you suffered psychiatric or physical side effects as a result, we'd like to hear from you. Please email Jordan Fischer and put "mefloquine" in the subject line. Let us know when and where you took the drug, for how long and under what circumstances.